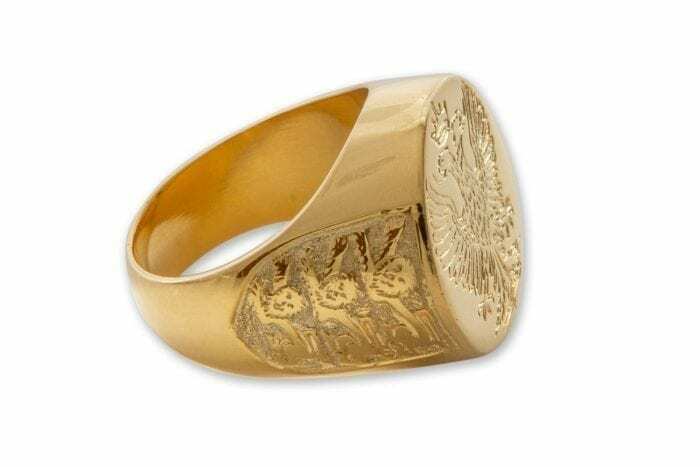 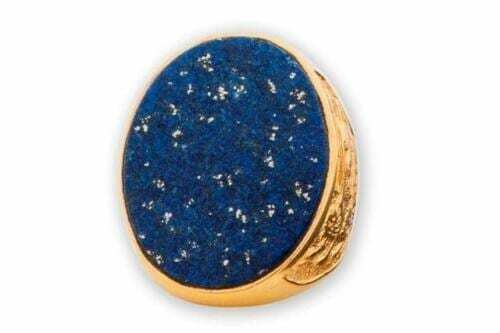 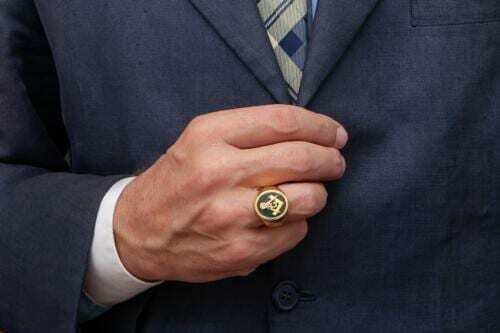 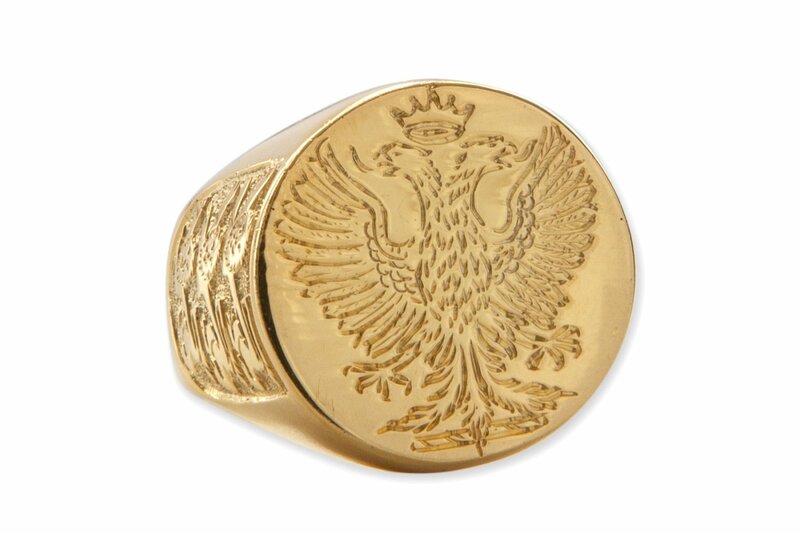 very impressive Regnas Signet Ring. 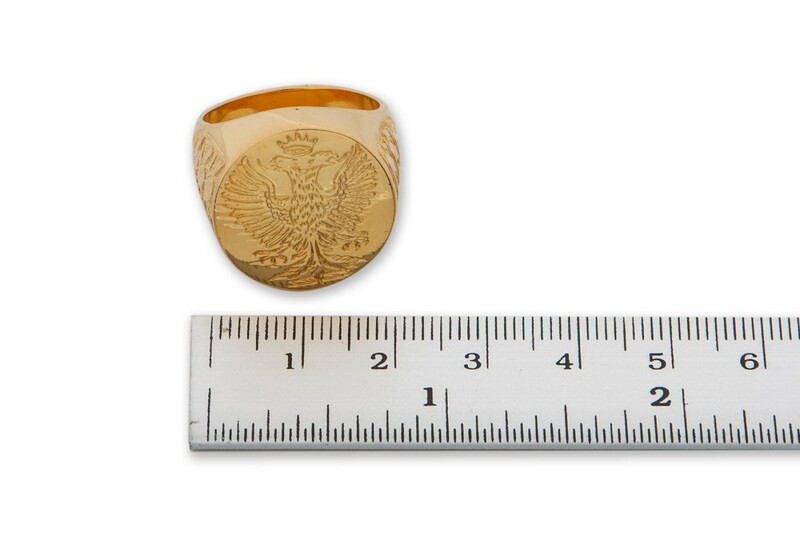 Prussian Eagle European royal crest in gold plated (5 Microns 18K Gold) sterling silver and hand made intaglio three lions on the both shoulders. 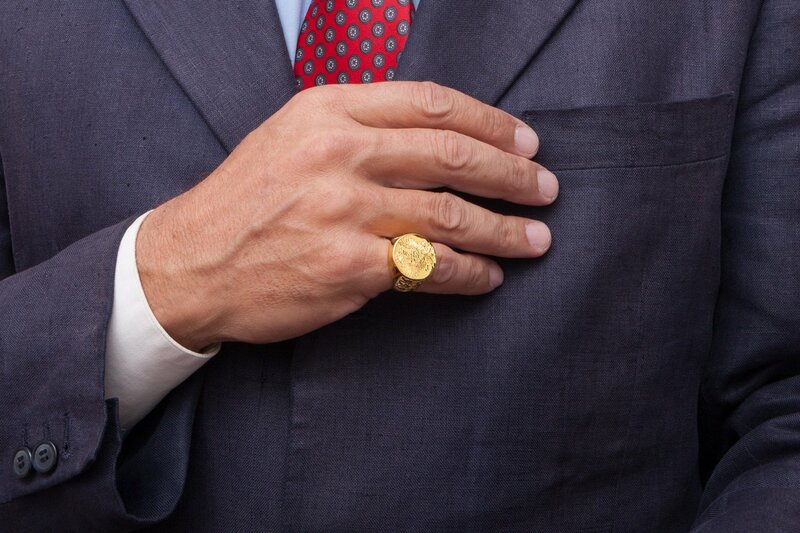 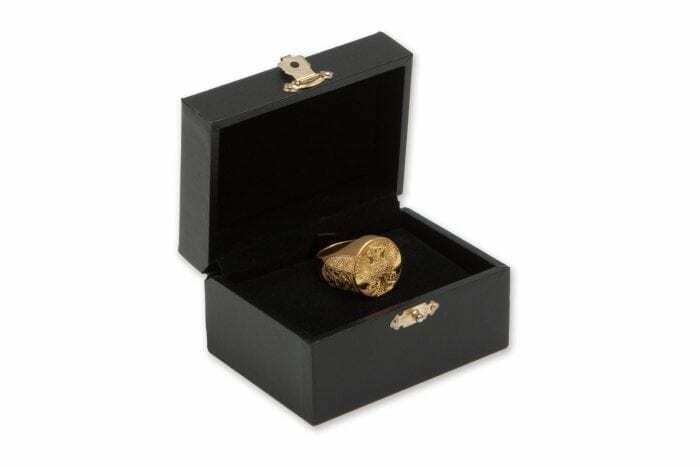 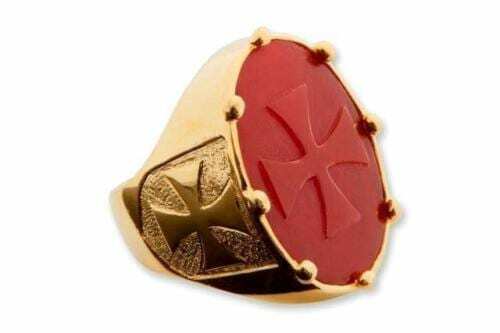 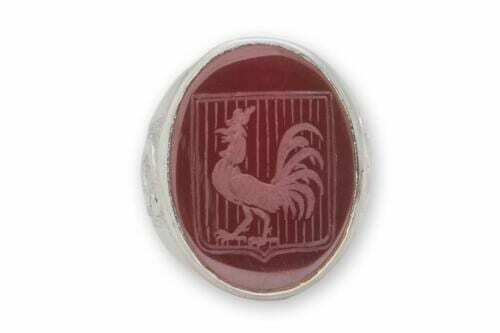 The hand crafted Roundel face at 18 mm (11/16 inch) diameter one of our discrete sized heraldic signet rings.